We are launching this updated version of Celestinevision.com because we feel humanity has reached a pivotal time in history. Millions of people are searching for a higher, spiritual consciousness. This is happening, because we aren’t satisfied with a materialistic or Atheistic outlook. At the same time, others are locked into a fear-based pursuit of war and hatred. The course to breaking out of fear is for enough of us to live and talk about the experiences of Spirituality, as well as finding and connecting with the Divine part of ourselves. This gives us the inner security and life purpose that can spread this awareness to others. This higher consciousness has to begin and grow, person to person, at local levels. 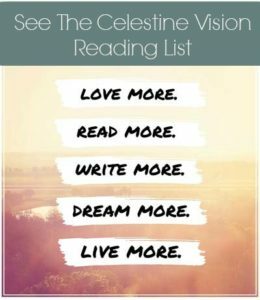 Celestinevision.com is dedicated to bringing together all of the relevant information needed to build a spiritually aware and healthy way of life. We aspire, through this website, to help create a community of people who, together, can spread a new vision of life and higher calling, just by exemplifying and living this Consciousness. What are your future plans for your website? The website is in the infancy stages. Eventually, we hope to have a large scale, conscious-living website by adding my daily content and the content from many different writers/bloggers. We have many future hopes and dreams starting with: a Developed Online Study Course, which will provide further education on all aspects of life and spirituality. A Community Area for on-time conversations and discussions, prayer and documenting which can be shared, as well as finding further support. A Find-Your-Dream area for cultivating your talents, passions, goals and dreams for your life. Lastly, one day we hope to have a Profit Sharing Effort to support each other as we purchase goods to enhance our life (from organic food and supplements, to our children’s school supplies, to our household needs). What is your advice for writing/publishing books? Will you read my book and give me advice and pointers? A book is a lengthy project. The first thing you have to do is actually write the book. There is not much help you can obtain, unless you have a confidant, but mostly you need to write it from beginning to end. When it is complete, I advise you not to consider it finished. I suggest making copies and having family, friends, and friends of friends– those who will give their honest opinion– to read it and provide feedback. Use this feedback to consider synchronicity– where your information lost people– this is where you need to solve the problem. Edit, enhance and redistribute your book. When you have a book that people say, “WOW, this is good,” or “Can I please get another copy for my friends so we can discuss it.” Only then, can you know you have the Holy Grail. This is your goal. A book will never be considered for publication until you have this kind of reaction from each reader. For more support, see My Experience with The International Aspiring Authors Association. In regards to reading your book and/or giving advice/pointers- I truly appreciate your desire to have my thoughts and opinions about your work, but my current workload limits my abilities to do so at this time. Yes, Salle and I travel several times a year throughout the United States and Europe. Recently, I have spent most of my time at home writing and researching for our new website, but I plan to begin traveling again during the new year. I am interested in any request for speaking. For more upcoming plans, see our event calendar (coming soon). All of the important parts are true. The Celestine Prophecy is a novel based on my actual spiritual experiences and the experiences of others. It was meant to illustrate the very real human spiritual consciousness, and see it lived through a fictional, adventure story. My book THE CELESTINE PROPHECY describes a series of Insights that are fundamental to a true Spiritual experience. To live a fully spiritual life, we must individually discover these Insight experiences for ourselves. 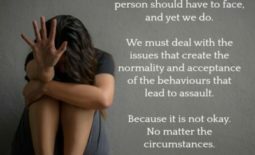 These revelations are not difficult to encounter and are rapidly becoming more recognizable by people from all cultures and religious backgrounds. Each Insight marks an inspired step forward in personal spiritual consciousness. Over the 4 books of the Celestine Prophecy series, 12 key Insights are described.